The story of Balkan rock is a magical one. A Fan Forum for the lovers of rock and heavy metal music that grew into a web magazine whose mission is to find its place under the sun beside the world famous editions like as “New Musical Express”, “Rolling Stone”, “Q” and “Mojo”. On this road to the success, they are followed by the thousands of faithful rockers and the the motto that every great achievement was once just a crazy idea. Rare are the ones who can find a way how to mix together the love and the work. Unfortunately, that perfect blend is only a privilege for the few. But than again when it happens, the story usually lasts. That kind of a love exists for five years now and its closely connected with the web rock achievement Balkan rock (www.balkanrock.com). The most influential specialized online magazine for rock and heavy metal music in Serbia is faithfully followed by an audience of about nine thousand fans of these life-music styles. A group of young enthusiasts led by the owner Dejan Dinik are the people that work on the forum that spontaneously grew into respectable website. There you can read announcements about concerts, enjoy the fresh new music, interviews with your favorite bands, find out about some interesting news from the rock scene and biographies of the world famous and relatively unkown musicians. – Balkan rock is really one magical story. 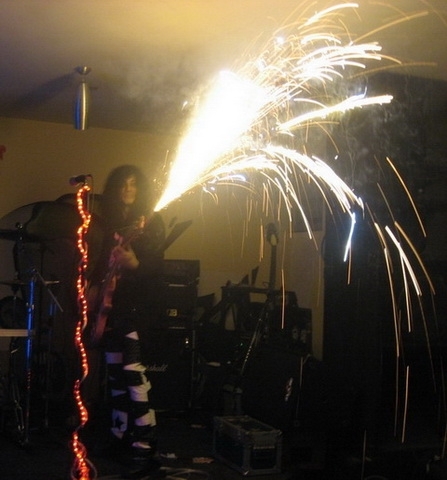 In 2006 it functioned as a forum for fans of rock and heavy metal music. Dejan wanted to make a gathering place for the like-minded people and to honor the forgotten Belgrade rock band Karizma. A place for the music lovers, but also for the young musicians and bands from Nis. He called me up to help him with the writing of the articles and the maintenance of the forum. The story got stronger with every new day and we realized that we can do something bigger and stronger. 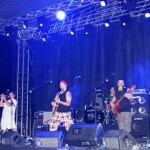 Thus was born www.balkanrock.com – says the editor in chief of Balkan rock, Milos Najdanovic. At the beginning this specialized medium was only presenting unknown bands and was publishing reviews for the local concerts. Najdanovic explains that they operate without profit, total dedication and just for their personal satisfaction. – For us, the word profit does not exist.. We were joined in the realization of this idea because of the music, without any intention to make money of it. We even work with a significant loss, because we have anual maintenance costs. The whole team is formed of twenty volunteers and everything is functioning superb. We live for this story. We have established an association of citizens which helps the affirmation of young bands, so we occasionally organize gigs and festivals for them. 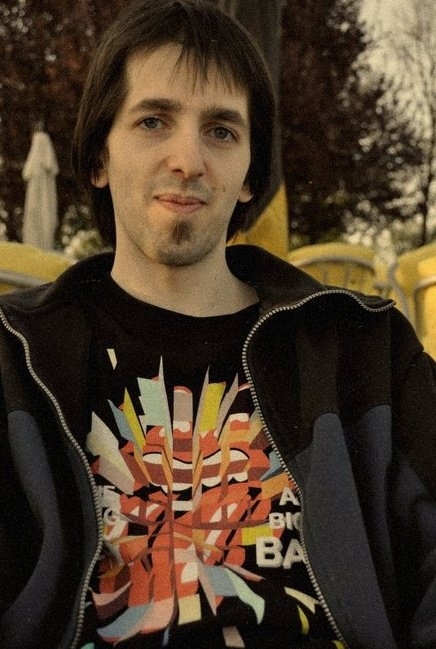 The biggest success so far is our festival “Medijana BalkanRock” which is held for two years in a row thanks to our cooperation with municipality of Medijana- says the 23- old Najdanovic who started writing about music since he was 17. 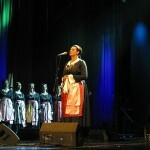 According to Najdanovic the longevity of Balkan rock is directly connected with the faithful audience and the fact that it is a specialized medium. – Only the specialized media can survive on Internet. The portals with general information and the newspapers will always be read and will always have strong sponsors. They will easily succeed, but in a limited number. The specialized media are the essence of the Internet. To have readers, consumers who are searching for their area of interest and when they encounter a site that deals with what they require is a great thing that comes together with the sense of belonging to that medium and regular visits. Its not only that, since our fans participate in the creation of the contents, that allows maximum interaction. The greatest difficulty is of course the money. But there were sites that had sponsors, advertisments and good payments, but didn’t have loyal journalists. Once the money runs out, they all leave and those stories slowly come to an end – he says. The biggest successes for the portal were the series of interviews with world stars from the ranks of Billy Cobham and John Lawton and the sad story about the talented Adam Bomb. – We spoke with John Lawton in Dimitrovgrad. 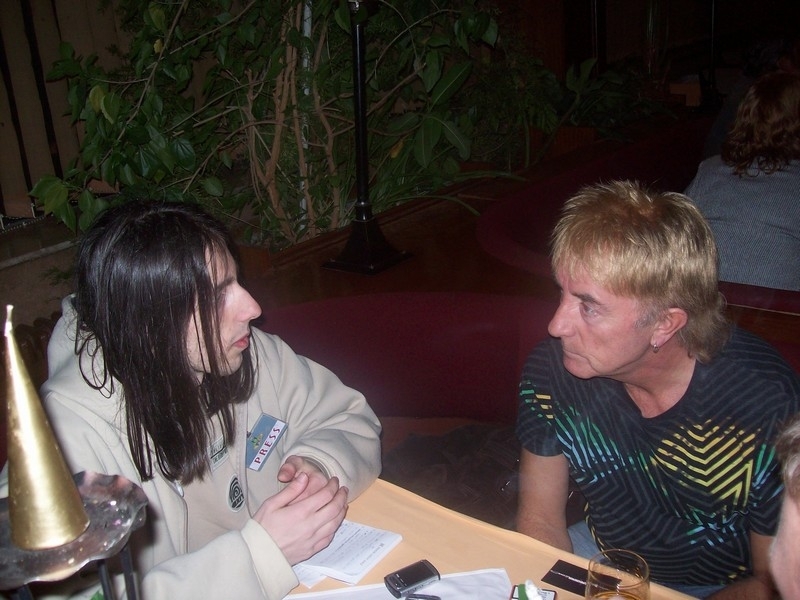 The man opened his soul and Balkanrock was the world’s first medium that received a specific answer to the question why he left the band “Uriah Heep”. He usually avoided this question, but maybe the pleasant Serbina atmosphere forced him to “confess.” It is an interesting story how we did the interview. We had an agreement with concert organizers to be introduced with Leighton after the musical part. But when it came to that, he simply disappeared. Fortunately, Dimitrovgrad is a small place, so after much pursuit we found him at the hotel. When we presented ourselves he was delighted and he gladly spoke with us. It was a rarely open conversation. There were many informal conversations, he was interested in the political situation in the country, but I promised him that the details will remain between us because I don’t want to play his confidence. We stayed friends until today and occasionally we chat and exchange experiences – says Najdanovic. 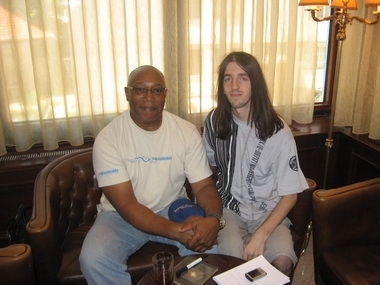 It was interesting to talk with Billy Cobham which is one of the most respected jazz fusion drummers. One witty personality. He always had a joke for us, but he gave me rather serious answers. That interview was scary for me. While I was a child my father regularly played me his “Spectrum” and suddenly this legend was sitting just opposite of me. I must admit that it scared me a bit, especially when talking about his collaboration with Miles Davis – he says. 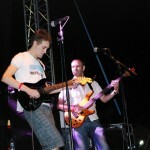 One of the most read stories on www.balkanrock.com is the poignant story about the guitarist Adam Bomb. The man who never gained world fame speaks openly about his depression. – For us it was an emotional and difficult experience. The group “Kiss” has refused him for the audition because she was too young. He was a roommate with Izzy Stradlin of “Guns N Roses”, but in spite of this he did not play with them because Axel Rose was afraid that he will refuse him if he called him up. He spoke about how the publishing house which was promising him a big success, actually destroyed him and he did not received anything. He was traveling around Europe with his band and during the breaks between the concerts he sold lottery tickets, shirts and CDs, which would earn him extra money. It was really upsetting to listen to his life story and to see such a talent smoking joints one after another. None of us was as indifferent seeing his pitch black fingers from the lighter, while he explained that he will play rock music till his death- says Milos.